18 edge profiles Add_mesh objects, easy to create with edge fillet addon, but if you need quick profiles, here you are. Thanks to zmj100 & paleajed for making this so easy to do. Does this work close to Modo profiles feature? Imho, being able to create and store cutom profiles, and extrude them along a path ( curves, edges ) could help in archviz modeling and other field. I’ve used Modo and found this useful. Have to use more blender so I don’t really know if there is yet such a feature. I placed folder to my user add-on folder (as usual), but I can’t see it in a blender add-on list to activate it. .tar.gz ? My computer doesnt like that format. .py in a zip please? @Meta: thanks, but can’t confirm under OS X. Addon is not appearing on the list, so nothing to activate. Sorry. then put them in a folder called add_mesh_edge_profiles then put them in the blender/addons folder. If you use 7zip, unpack the files twice. then put the folder called add_mesh_edge_profiles in the blender/addons folder. it’s what sourceforge automattically builds for downloads. I didnt know you could do it on windows, thought it was a linux only format. start with the .tar.gz, do an extract here, then you should have a .tar, do an extract here on the .tar to get the folder. I finally got it figured out when I realised not all extractors can do it. thanks. Van you include a picture or video on this? I think you’ve done a great job with version 1.2 Laboratory and really I’m very grateful for that. My English is not very good, but try to explicarmete respect to a question that has arisen me reading your User Guide version 1.2. In Point 1 (1 Head-width_X. From the iliocristale to crotch, projected on Z axis). I think there may be an error in the landmarks mention (From the iliocristale to crotch). Please could you explain about it. I thank you again for your great work and the answer you’re willing to give me in relation to my question. Coming soon, free. Curve Bevel Profiles. not much going on here really, just a nice set of profiles for extrusion. only a mesh is created, you’ll need to convert to curve yourself. they all work great as curve bevel objects. 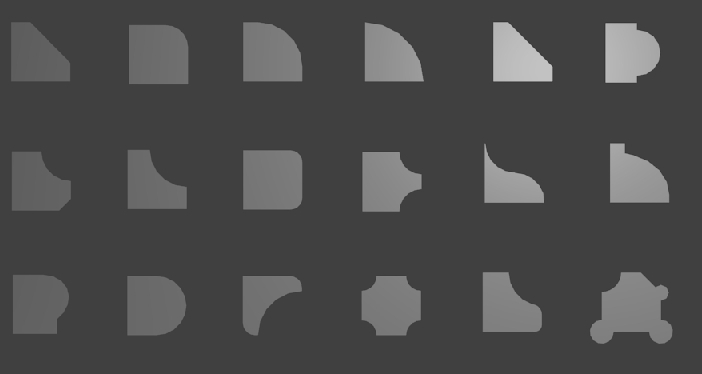 don’t forget there’s curve profiles in add_curves_extra_objects too. Yes thanks, i walk around the theme now…Byebye Meta-Androcto. i have understood, it’s a bug because you use the old release of creaprim to create the Add_Edge_profile addons.